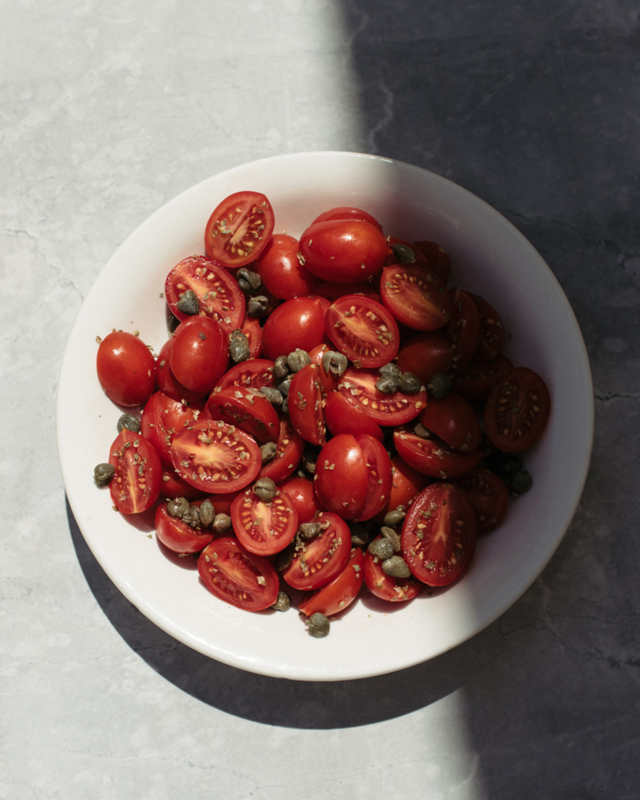 Even after returning home, the combination of sweet ripe tomatoes, salty capers and dried oregano tastes like Pantelleria. No salt, no seasoning, just the fish. 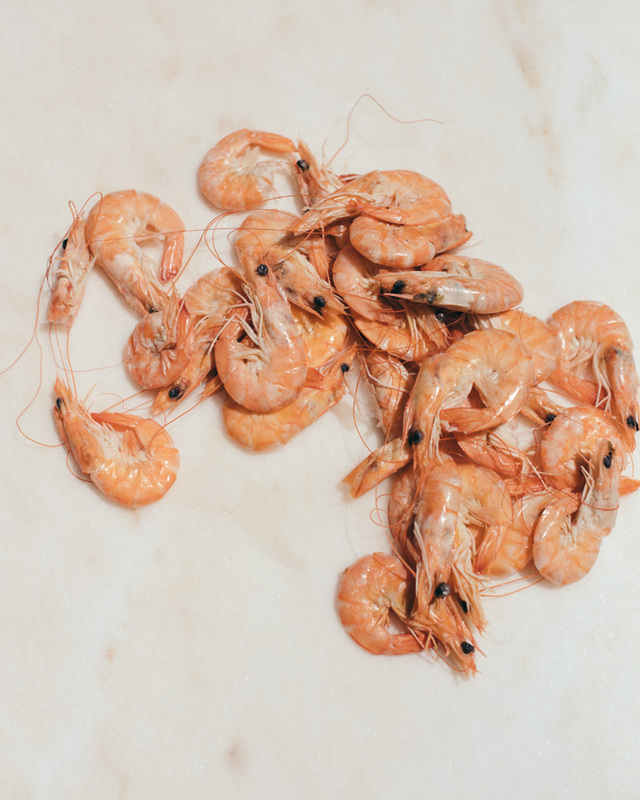 Shrimp quickly cooked in salted water. 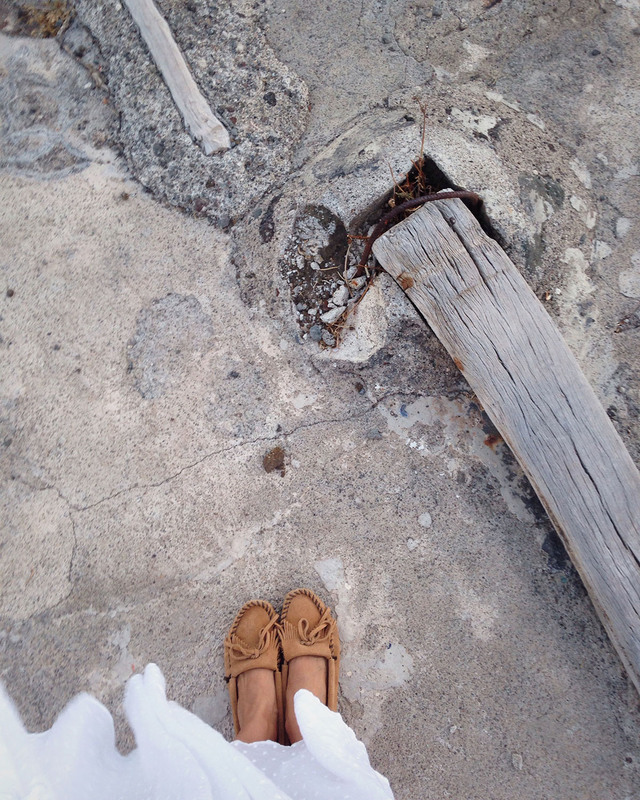 Dressing down for dinner, Pantelleria, June 2016. I aim to choose local wines, meaning that in Pantelleria I would enjoy my fish dish with a glass of zibibbo. Dining at La Vela, Pantelleria, June 2016. 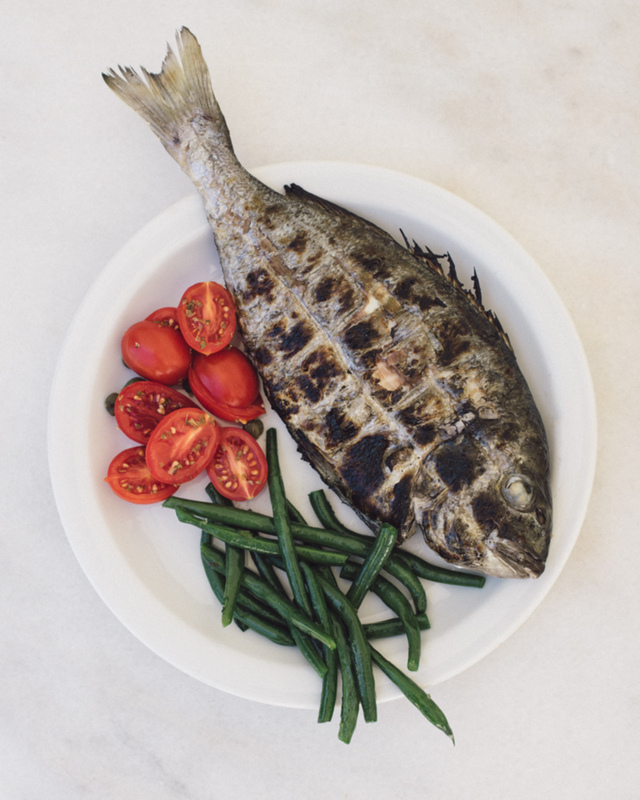 Food on Pantelleria is a nice blend of island traditions and Sicilian cuisine, which has both French and African influences. The main farming products are capers and wine, the Zibibbo grape. The volcanic soil is high in minerals, which gives the capers and grapes a rich and interesting taste. Capers grow all around the island. They like to live with just a little bit of soil so they do naturally well on the sides of roads and on dry spots next to rocks and stone walls. 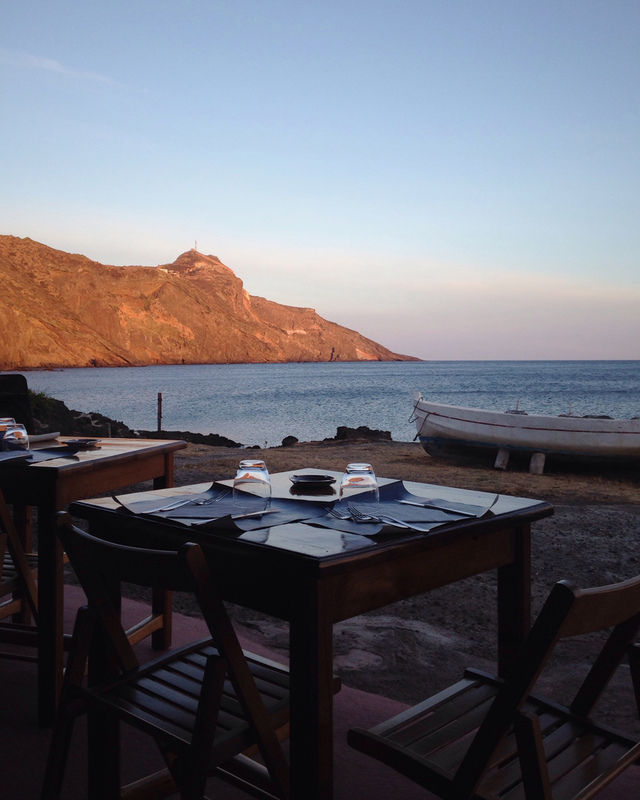 Being a visitor on Pantelleria, you will probably get a menu on the restaurants, but that does not mean you have to build your meal on the listed dishes. You will also have someone come and show you a selection of fresh fish and seafood. Choose what you like and how you want it prepared. Common ingredients also include couscous, honey, dried fruits, nuts, and warming spices – all less common in other parts of Italy than Sicily and its islands. Maybe I will test and post a couscous recipe later (we had it twice and it was heavenly), but for now, find my easiest take on summer dinner: some grilled fish, fresh shrimp briefly cooked, and veggies. 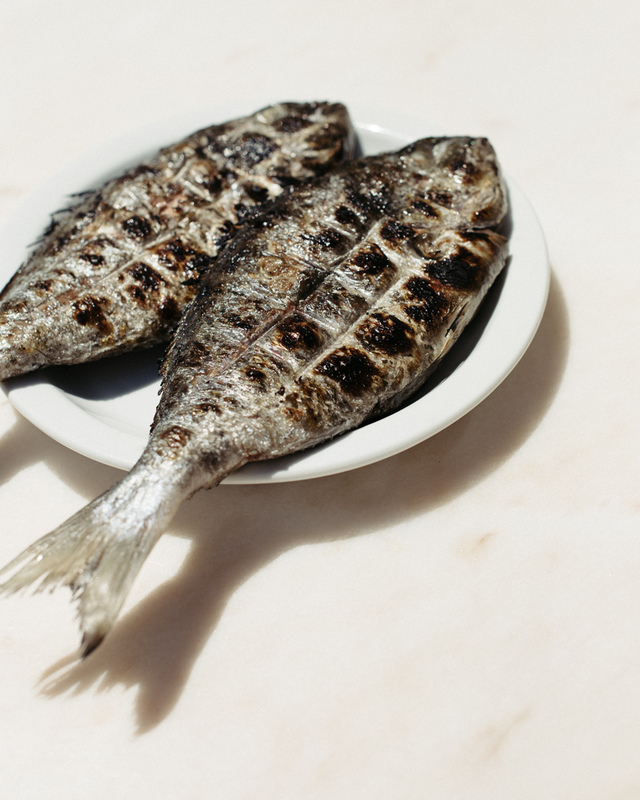 Fish is highly valued in Italy and you want to do nothing to cover its delicate taste. Once you have it on your plate, taste it first. Only after that, add a tiny bit of good salt and/or olive oil if you like. Prepare one fish per each person. Ask the market staff to clean the fish. Do not salt or season before grilling. Use a hinged gridiron and grill the fish around ten to fifteen minutes, depending on the size. Turn the gridiron around every two minutes to prevent the fish from burning. Serve with salt and olive oil on the side. Trim the beans by cutting off the tip from both sides. Cook in salted water around five minutes, then drain the cooking water. Melt some butter in a frying pan, add five leaves of strong mint, do not fry. Add the beans to the mint butter and cook over a medium heat for a minute or two. Use capers preserved in dry white salt, look for plump ones. Rinse off excess salt and let the capers soak in cold water for half an hour. Slice the tomatoes, look for sweet ripe ones. Add some dried oregano and the soaked and drained capers. Add salt, if needed, and some olive oil for dressing.